If a circle represents infinity, the exquisite Love's Circle Ring embraces the endless brilliance of love itself. 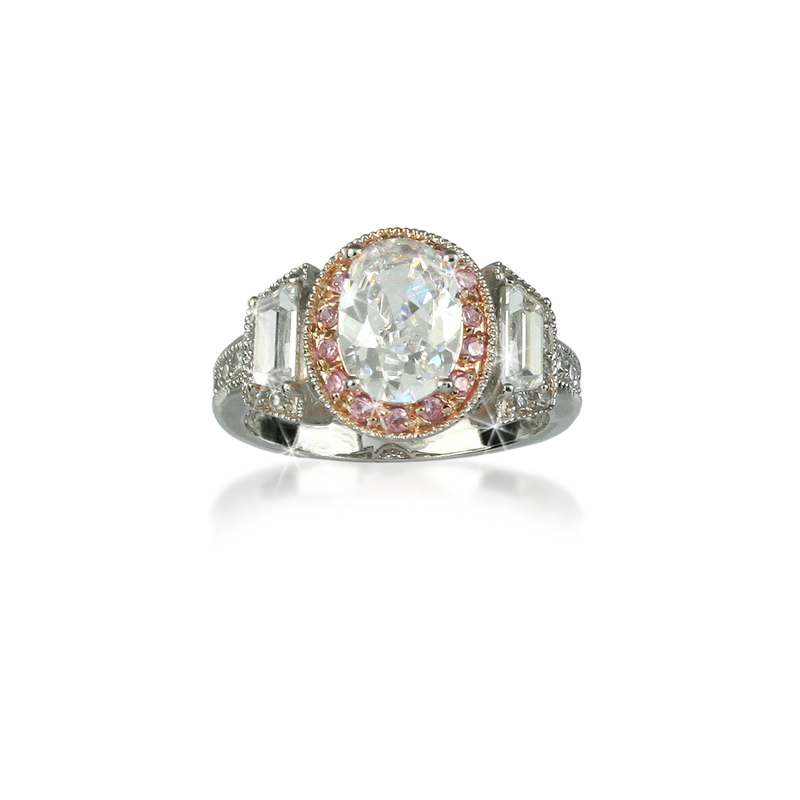 It features a dazzling center CZ encircled by equally sparkling rose CZs, all set off by a pair of emerald-cut CZs and smaller, twinkling accents. Eternally beautiful, set in gleaming plated platinum... love has never been more luxurious.